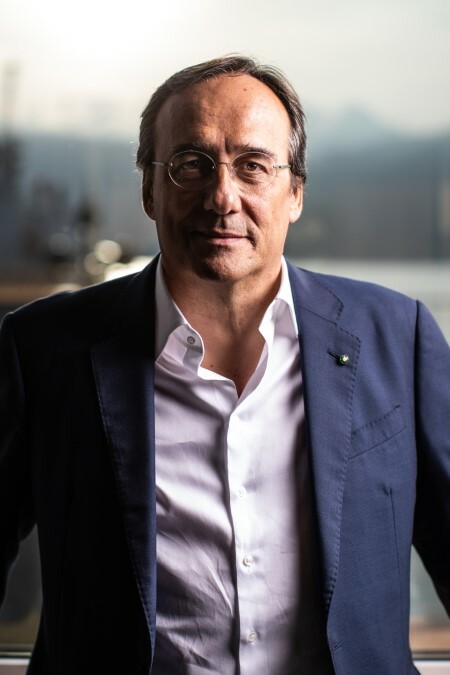 Sanlorenzo, a leader in world production of yachts and superyachts, returns to entirely Italian ownership after sir Massimo Perotti, Chairman and CEO of the company, repurchased 23% of the shares from the Chinese Sundiro Holding company. The decision to include in stock ownership the Chinese company was made in 2013 so as to be able to deal with the crisis that the boatbuilding industry was experiencing, with an agreement to support its partner in building boats (not under the Sanlorenzo brand) under 20 meters long in China. The current agreement is an important milestone that now makes the Perotti family owners of 96% of the company shares of Sanlorenzo SpA through the Happy Life Holding company (which also includes the two children Cecilia and Cesare Perotti) after the other repurchase a few months ago of the 16% share that had been sold to Fondo Italiano di Investimento in 2010.Management holds the remaining 4%. Along with these significant investments, the company has furthermore recently started a significant initiative focused on youth: the “Sanlorenzo Academy”. The idea was born by Sir Massimo Perotti, once again farsighted. The Academy is focused on developing specialized professionals who are currently lacking and in high demand in the job market, providing training opportunities to youth with an emphasis on hiring. This initiative will create a significant virtuous circle between industry, training, and the world of work, investing in new generations and creating jobs. As further confirmation of the results achieved, Sanlorenzo has attained first place in the ranking of world’s leading producers of boats over 30 meters in length (superyacht)with 39 boats delivered in the 2016/17/18 triennium. Published last month by the Dutch Superyacht Times magazine, the analysis compares the data from the last three years with pre-crisis results, showing how Sanlorenzo has tripled its own production over the years, exceeding even the biggest boatbuilding groups. A true leader at the forefront of the nautical world, this year Sanlorenzo also climbs onto the podium of the annual ranking of the Global Order Book, compiled by the English magazine Boat International, once again confirming itself among the main three shipyards in the world in the production of yacht sand superyachts and first as a single brand.